It sounds to us that this invitation was not addressed only to those sitting in Parliament, but to all of us Australians. So, it doesn’t make sense for politicians to have the final word on this does it? Instead, we think it’s time for Australians, young and old, to respond to the Uluru Statement, with our own statements, from our own hearts. We invite you to send a message about why it’s important to you that as a nation we take up the invitation from the First Nations peoples of this land that has been generously and profoundly offered. For all of us this will be personal. If you want to join us, and make your own statement from the heart about this matter … please contact us or leave a comment below. We will be delighted to hear from you. May I first pay my respects to and acknowledge the welcoming and wise invitation from the Aboriginal and Torres Strait Islander elders who represent the first sovereign nation of this land, and who are the spiritual and traditional owners of this country. Thanks also to the Dulwich Centre and the folks who have initiated this important project. I also wish to express my disappointment and disagreement with the decision of Malcolm Turnbull and the group of whitefella politicians to reject a proposal for the establishment of a First Nations voice to be enshrined in the constitution of Australia. I am a whitefella man who was born and bred on Darumbal land in Central Queensland. My ancestors came from Cornwall, England, Ireland, China and Norway in the 1800s. 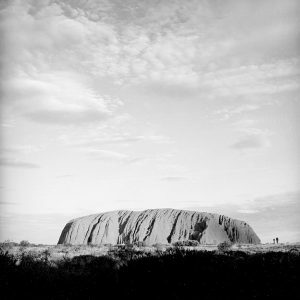 There are many reasons my heart is called to support the Uluru Statement from the Heart. The strongest reason in my heart today relates to what I have learned with and from Australia’s First Nations people. I have been very fortunate to spend time with many Aboriginal and Torres Strait Islander folk who have shared with me much knowledge, value and skill about ways of living. In particular these folk have taught me profound understandings of respect, at a level I never could have understood without these interactions. I think most Australians would agree that our parliament could benefit from some of these important lessons in respect, and if parliamentarians acted in more respectful ways to each other, to Aboriginal and Torres Strait Islander peoples, and to all people in this country and indeed the world, a lot more could be achieved and many people would be much have much safer and healthier lives. For 60+ years I have had the benefit of living in this wonderfully diverse country. I am aware that Aboriginal and Torres Strait Islander peoples have had to endure dispossession,death and alienation from their countries. And, that their cultures have been appropriated and disrespected. I commit to walking with you and being guided by your wisdom as to the best way forward for us as one nation among many. I thank you for your generosity of spirit in inviting me to walk with you in a movement that will create a better future for all of us.